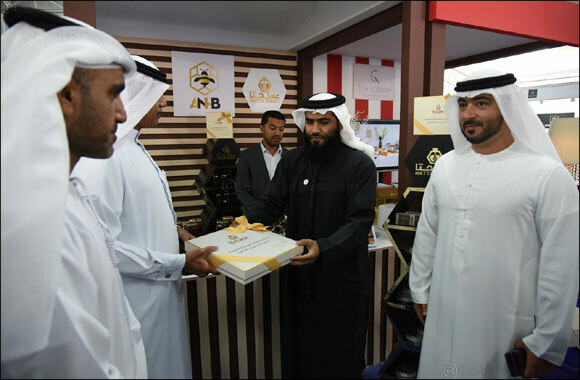 Dubai, UAE, 26 January 2019: Director of Dubai Customs Ahmed Mahboob Musabih inaugurated the National Project Fair as part of the 2nd UAE Customs Week activities which take place this year under the theme “Smart Borders”. The inauguration took place in the presence of Dubai Customs executive directors, government representatives and owners of national projects. The Fair supports member companies in the Mohammed bin Rashid Fund for SME. It serves as an ideal platform for these small and medium companies to promote their products. During his tour, Musabih viewed a number of local projects for the 30 companies taking part in the fair and operate in different fields including training and management consultation, security, cultural services, events management, furniture and design, food commodities, snacks, travel and clothes. “We support local projects in general,” Musabih said, “to contribute to the diversification of the national economy, and this is what urged us to launch this fair. We aim to support member companies in Dubai SME and promote their products at a wider scale in line with the eight principles of governance launched by His Highness Sheikh Mohammed bin Rashid Al Maktoum, Vice President and Prime Minister and Ruler of Dubai”. Musabih added the events and activities will help educate the public and raise awareness around the role of customs departments in leveraging the national economy and securing borders and entry points. Dubai Customs activities continue this week across all its centers to reach out to as many clients, partners and employees as possible.